Mustang Magic returns for the 11th consecutive year as one of the main attractions at the Fort Worth Stock Show & Rodeo. Photo courtesy of Mustang Heritage Foundation. Some of the top horse trainers in the world will be gracing the Fort Worth Stock Show & Rodeo with their presence January 24-26th when Mustang Magic returns for the 11th consecutive year to the John Justin Arena. 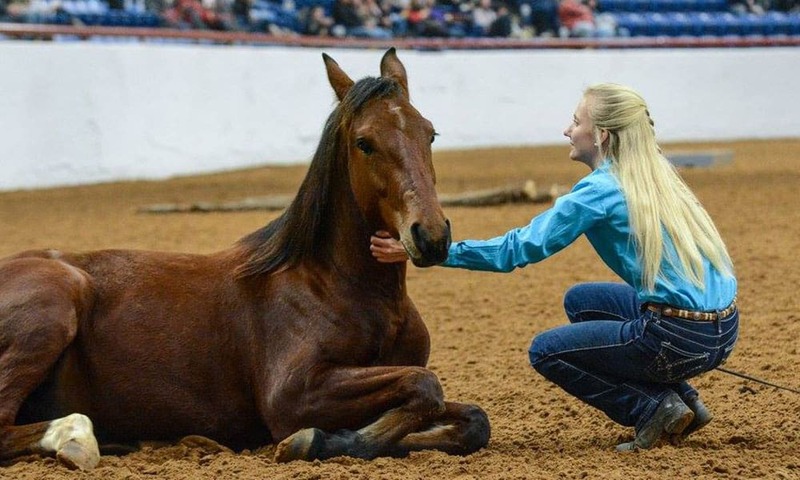 “Mustang Magic has become an annual favorite for Stock Show patrons who will witness the exceptional relationship that develops between horse and trainer. The competition will feature 16 men and women who will be showing mustangs that, just months earlier, were roaming wild on the ranges of the American West. With only 100 days with which to train their animals, these horsemen and women will astound fans with the skills and talents of their formerly wild horses. Trainers hail from across the nation from California to Connecticut, with two from North Texas including Ginger Duke of Springtown, TX, and Riva England of Caddo Mills, TX. Also returning will be 2018 Champion Cavin Graham of Lafayette, Georgia. For more information on this event visit fwssr.com or mustangheritagefoundation/magic.